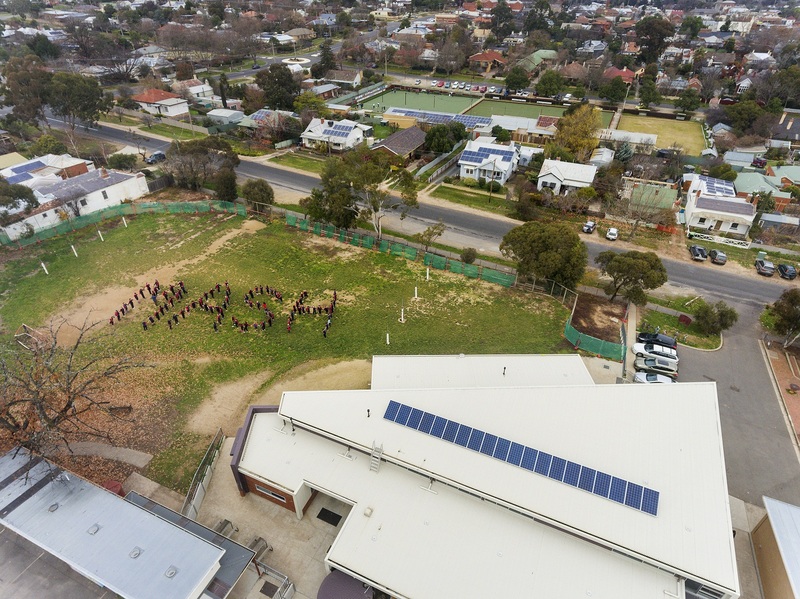 Students and staff at Castlemaine North Primary School turned out in force to celebrate the recent installation of a free 5.4kW solar system on their school. This system is funded by a donation from the MASH community solar bulk-buy. It is expected to significantly cut the school’s electricity bills with the savings directly benefiting students and staff. “We plan to install a shade structure over the deck outside the Grade 5/6 classrooms and some of the bill savings from going solar may go towards this project,” said Cheryl Neilson, President of the Castlemaine North Primary School Council. The system was installed by Sunergy, a Bendigo based solar company responsible for installations for MASH round 3. It represents the successful outcome of MASH round 3 and delivers the community bonus aspect of the MASH program – a free 5.4kW system on a school or community building for every 100 new MASH solar homes. The Castlemaine North Primary School installation is the fifth solar system donated to schools and community groups through the MASH community solar bulk-buy. Other recipients of MASH community bonus systems are Newstead Community Centre (5kW), Newham Primary School (5kW) and Castlemaine Housing Service (4kW). The Hub Foundation is a not-for-profit company limited by guarantee. It was set up in 2014 to help reduce the Mount Alexander Shire’s – and the planet’s – CO2 emissions through a range of projects including MASH, short for ‘More Australian Solar Homes’. MASH is a community solar bulk-buy project which has cut emissions by around 4,000 tonnes a year (equal to around 780 cars off the road) by installing over 10,000 solar panels on more than 700 homes (as of Sept 2017). This is saving residents around $500,000 off their electricity bills each year. Through the MASH community bonus, 20kW of free solar systems have been installed on local community buildings and schools with the most recent being a free 5.4kW system on Castlemaine North Primary School. For more information about MASH and to register your interest, visit www.mash.org.au or call 1300 466 274.